1930 Leica 1A "Hockey Stick" with a 3.5/50mm ELMAR lens. The A stands for the American model. The first commercial 35mm camera. The 1A was equipped with a view finder but not a rangefinder. You have to set the lens on the distance to your subject. 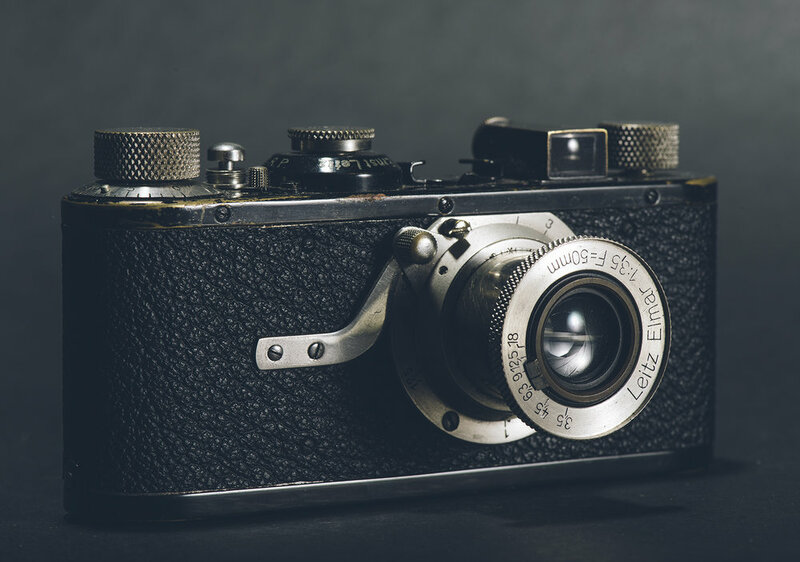 Gear | OK, let’s get to the point here: it is very likely the majority of photographers today, whether using a vintage camera or not, have heard the word “Leica,” for it is the camera that to this day rests in the minds of many as the classic camera. Whether the association comes from actually using one, or knowing somebody, like an older relative, who did use one, or reading about the latest digital Leica in a magazine or-just maybe- a newspaper story...the fact remains: there is a strong sentiment, not quite universal, that the Leica is the camera to own and, hopefully, use...and this includes digital as well as the classic 35mm film cameras. Our discussion will stick to the classic mechanical film Leica cameras. To begin, some history. Leica collecting is all about the accessories. All Leica accessories have a code name. This is a 1930's FODUA vertical rangefinder for the very rare model 1A. The majority of Leica film cameras are rangefinder cameras (Leitz did make a line of single lens reflex cameras at one time): when the lens barrel is rotated to focus, the correct focus is achieved by lining up a split image in the viewfinder, and this is done with a precise array of prisms in the rangefinder mechanism in the camera body. It is a very precise and quick way to focus. The camera is also very quiet as there is no mirror to move when taking the picture as done in a single lens reflex camera, and for this reason the rangefinder Leica was at one time the only film camera allowed in court rooms. Initially the lenses for the Leica threaded onto the body, and these models, sometimes known as “Barnacks” were more compact than the subsequent “M” models, introduced in 1954 with the iconic Leica M3. The M models utilize lenses with a machined flange that mates with a flange on the body, then lock into place with a quarter turn. The threaded bodies were made from 1926-1960, while the M bodies began in 1954 and are still in production. And the thread-mount lenses used on the original models will work on all of tese models, thanks in large part to machined adapters made by Leica when the two types of bodies overlapped in production. This trait also makes the Leica a timeless photographic tool. Leica freakout! 1953 Leica lllf red dial self timer with a 6.3/2.8cm HEKTOR lens. Now you see why they call it a red dial lllf. There were other small cameras available at this time, so what made the Leica so desirable among professional photojournalists and amateur photographers? Small size? Elegant design? Ease of handling? Build quality? Fabulous lenses and many to choose from? Yes...all contributed in some way to the making of this legend. The compactness was crucial to helping more people take more pictures of life going on around them as they saw it. The same can be said for the ease of handling. The build quality was consistently top flight, and while some may feel the quality dropped off some time in the late 1970s, I have not seen that in their current mechanical film cameras-they remain fine instruments made well. And the lenses remain superb, in a multitude of focal lengths and speeds. Best of all, a large number of their vintage lenses, some as old as 80 years old, remain sharp and yield satisfying results. Leicas are not just fine tools for photography: the same traits that make the Leica desirable for taking photographs-quality materials, fine craftsmanship in construction, precision, numerous lenses and accessories to fit many applications-make collecting Leicas a long-standing passion for many. To this day, with societies formed and competitive bidding taking place for rare cameras, lenses, and accessories, the Leica remains a highly desired object...whether or not it is used for photography. At times, these collectible traits can lead to a bit of snobbishness among those who covet Leica goods. There are many folks who feel it is “Leica or nothing” and while the camera and lenses back up that claim, there are still a multitude of fine mechanical film cameras to be enjoyed. But the “opinions” of many about Leica’s superiority did help grow the legend. This 1934 lld belonged to Bob Rogen's father-in-law. It has the ELMAR 3.5/5cm lens. A real family treasure, Bob still shoots a roll of film through it from time to time. The film wind knob and shutter speed dial show a high degree of craftsmanship. The body of the Leica camera is machined out of brass. The company's brochures and sales literature are a large area of collecting for the Leica buff. There are hundreds of books devoted to the use and collection of Leica. Something, or I should say, someone, galvanized the legend-in-the making. His name is Henri Cartier Bresson, and this painter-turned-photographer used his Leica like a third eye, and he carried it like a hunter stalking prey, always looking, always ready, to capture what he called “the decisive moment,” that fleeting moment when the motion or composition speaks volumes. Seek out Cartier Bresson’s iconic photograph of a man jumping a puddle-that photograph, taken with his Leica, defines this. He is forever associated with the term “decisive moment” and he was not alone in using this camera to capture life’s instances so well: David Douglas Duncan, Alfred Eisenstaedt, Robert Capa, Garry Winogrand, William Eggleston, Robert Frank, Joel Meyerowitz, Stephen Shore, Lee Friedlander, Jim Marshall, Mary Ellen Mark, to name a few..they all wanted the best tool for their photography... a precise, compact tool... and that had to be a Leica camera then. And now? It is a digital world and Leica is up to the task with a multitude of digital offerings, with many in the same shape and appearance as their classic M body cameras. 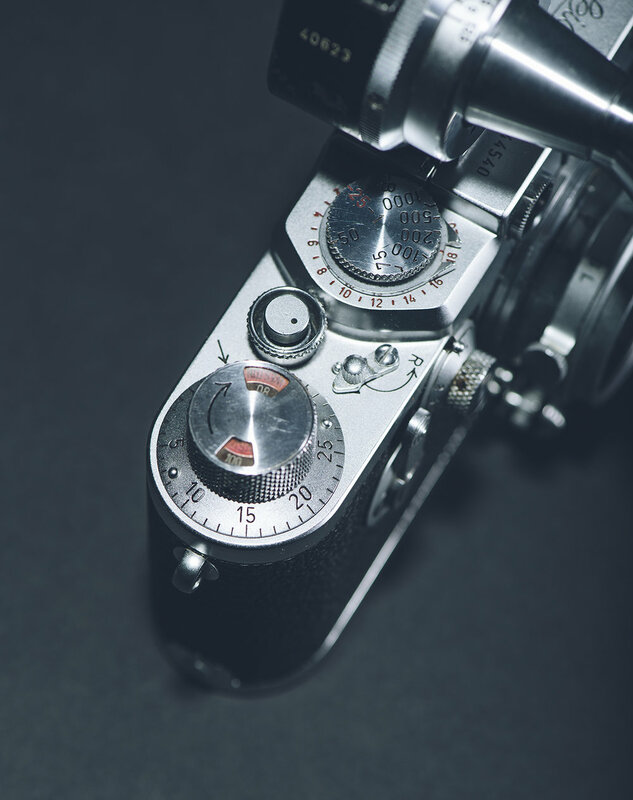 Thankfully, they still make three mechanical film cameras, and surprised many by bringing out, 60 years after the iconic Leica M3 was introduced, a new mechanical film camera in 2014: the Leica M-A. 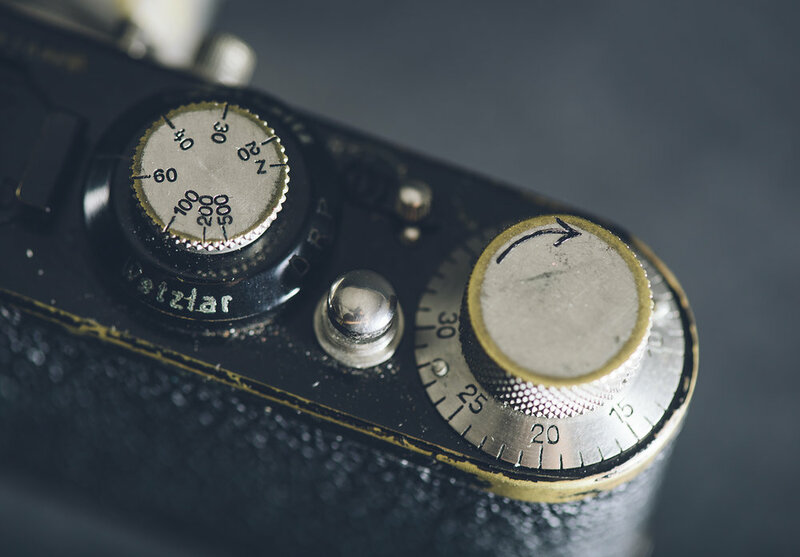 Made without a built-in light meter, it is a completely mechanical camera in the same style as the 1954 Leica M3. 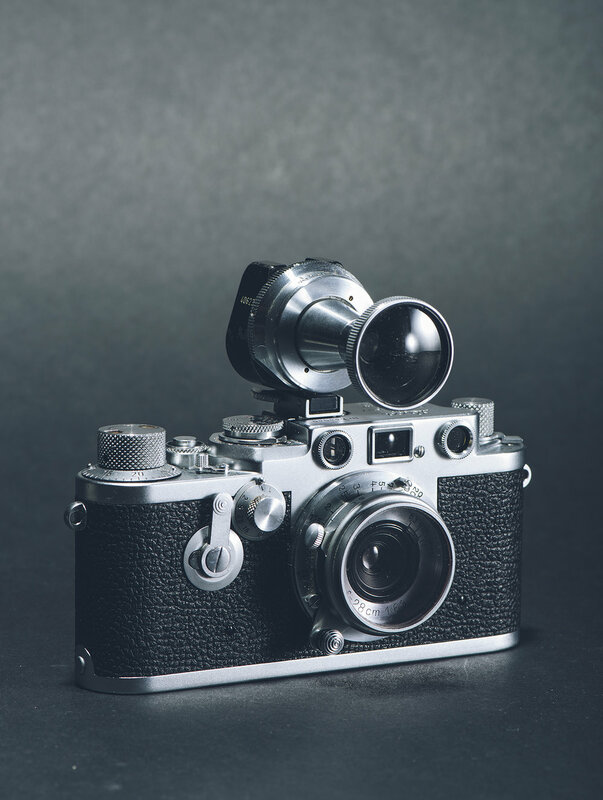 One has to hand it to the company for tooling up and introducing such a camera in this digital age, especially when they already had two film cameras in the line and many older but perfectly suitable used Leicas are still readily available. 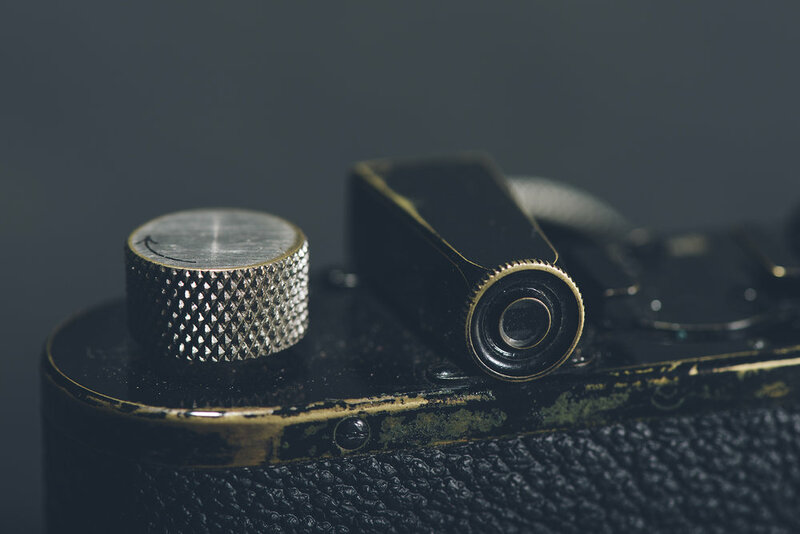 Perhaps they were looking to introduce the concept of a pure mechanical film camera to their digital camera customers, just as they did in 1925 to those who did not know what they were missing.